Porcelain installation starts from 3.00 and up depending of the kind of porcelain, size, job size and location. 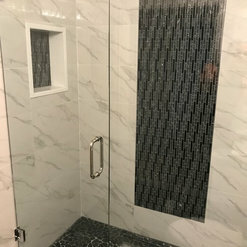 Marble installation starts from 5.00 and up, back splash installation depends of what kind of tile ,size, and location ,we do bathrooms renovations as well. Thanks. We have been in this business since 1984, we are licensed and insured. 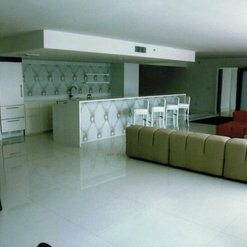 We pride our self in doing all kind of tile installation, porcelain, marble, stones, glass tile and metal in any size. I, Leo Alberto, the owner and installer will do your job. I won’t send any other person or subcontract your job. We offer warranty on every job that we do. Please call us, I will be more than happy to help you in your next project. 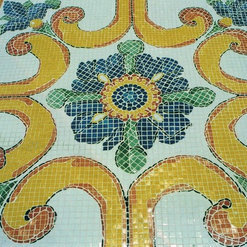 We accept credit card and work directly with 5 mayor tile stores in Miami area so we can find the tile of your dreams without nightmares. Thanks. Check in service provided, for more information. Or call or text me direct to 3057106493 Leo Alberto. Thanks. We have 5 stars for the quality of our jobs and customer services. 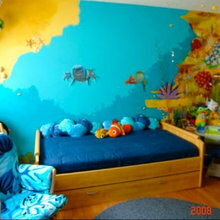 I was extremely pleased with the quality of work done by Leo. He was professional, knowledgeable and reliable. Leo gave us a quote for laying down our backsplash and a portion of a wall in our kitchen with tile. 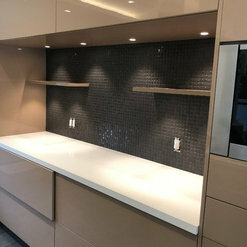 His request for a deposit was reasonable and he did give us great suggestions and support before he started his job with our pre-purchased materials. He also worked neatly and was very personable. I will not only be using him again for future projects but also recommending Leo to my friends. We started this process by getting quotes, many contractors gave us a phone quote. Out of the ones that actually came to look at the project, Leo (the owner of Sandstone) caught my attention immediately. He was very contentious in making the appointment on time, he also took great care to identify potential problems with the tile installation in our home. Leo's pricing and payment structure was incredibly fair. He projected the length of the project and was exactly on time. His quote was also exact, he never asked us for a penny more than what he quoted for the job. The installation was perfect, his eye for detail is even more exacting than my own. Leo also leverages his knowledge of the local market to offer savings on materials. I am beyond belief how amazing our large format wood look tile installation is. When people visit now, their first question is "Is that real wood?" 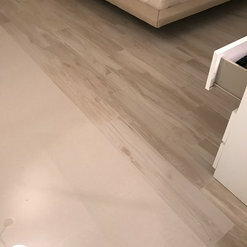 Our friends that have had this kind of tile installed (not by Leo) now realize how poor their floor looks compared to the professional installation Leo has performed in our home. 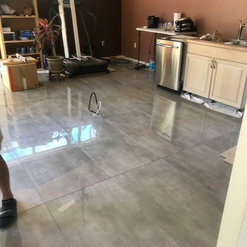 In these types of installations a 10% loss of tile because of cutting is not uncommon, the way Leo works, our loss was less than 1% (5 tiles to be exact). This economical way of installing tile is a hallmark of this company. Even if Sandstone Flooring is not the cheapest bidder on your project, I guarantee they will be with the savings on lost tile and materials. I would recommend Leo of Sandstone Flooring without hesitation. He is a rare contractor to find in this area. His honesty and integrity are beyond reproach. 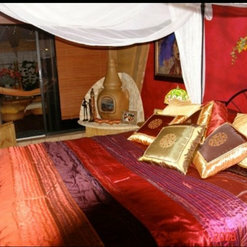 The professional expertise of the company can not be surpassed. Perfect coordination of working force. Always on time and working every minute without failure. We recommend them with our eyes closed. 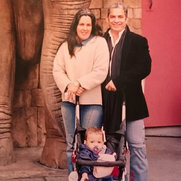 De La Maza FAMILY. Leo is great, we hired him to refloor 1300 sq feet in our house. His quote was clear and detailed. He cares about excellence in what he does. He is very professional, patient, and always on time. Our house looks beautiful. Leo is a rare gem in Miami. He is professional and holds his self up to a high standard. HE IS ALWAYS ON TIME!!! something most don't seem to grasp here in Miami. He works neatly and carefully. A true gentleman who took the time to answer questions and explain what and why he did things a certain way. The floor is so even that the new kitchen cabinets that were installed needed almost no leveling. The floor is true and even. Everyone has been very impressed with the the installation of the tile. He is a true master of his craft. So very thankful to have met him and have him work in my home. *This is an addition to my first review. 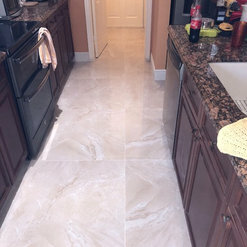 Leo did such a fantastic job tiling the floor in our home that we had him do our kitchen back splash. As before Leo did an excellent job and we couldn't be happier. Always professional and on time. Many thanks!!!! We hired Leo to install ceramic tile to our house due to his knowledge and experience on flooring installation. The job was done in the projected time despite the additional modifications that were done due to irregularities of the floor level. The money spent was a little over than expected due to unconsidered expenses on additional construction materials, transportation and debris disposal. Overall we are happy with the job done by Leo and his assistant Nizael; we highly recommend him. 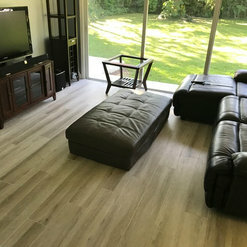 I hired Leo (Sandstone Flooring) to complete a big renovation job for me. 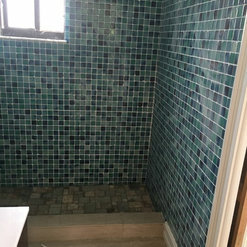 I needed my entire house re-floored and two complete bathroom renovations. From the first moment I contacted Leo he was professional and very helpful. I was able to get a quote and start my job within a timely manner. From the beginning and throughout the job he was very resourceful and available for my questions and concerns. He was extremely trustworthy and reliable. He was by far my favorite contractor. I did not have any Issues working with him on this job. Leo did not delay the project at any time. Just keep in mind his quote is for LABOR ONLY and not supplies/tiles. I recommend keeping a generous budget for your supplies/tiles and extras. My house looks gorgeous! And it's all thanks to his hard work and talent. I highly recommend choosing Sandstone Flooring for your home needs. I will attach photos soon so you can see. 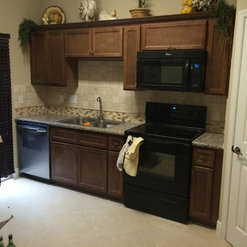 I got my house in 2015 and I hire Sandstone Flooring Inc., to do my floors, my bathrooms, and an outside patio, his work was very professional, clean, and he was very polite, an very understanding, I will recommend him, and use him in futures jobs, in fact I have recommend him to a couple of friends of mine. Great customer service too. As a professional also when I have some design I recommend without hesitation. He is magnificent. Best price out of the five estimates ,i got from various places. Great quality and timely service . Were very happy withe the outcome and will be recommending you to our friends,thank you. I highly recommend Leo and his company. Extremely trustworthy and professional. They do a great job! I've hired him several times for different projects. Remodeled a bathroom. House tiles. Kitchen backsplash. Travertine floors in courtyard and balcony. I am very pleased with all the work he's done for me and will continue to use his services in the future. Commented: Love this! What type of decking is this?Hi, that is french pattern. 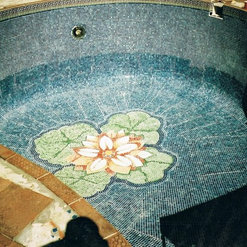 You can use it in pool decks, patios, even inside the house. Thanks for your question.